Hey folks! 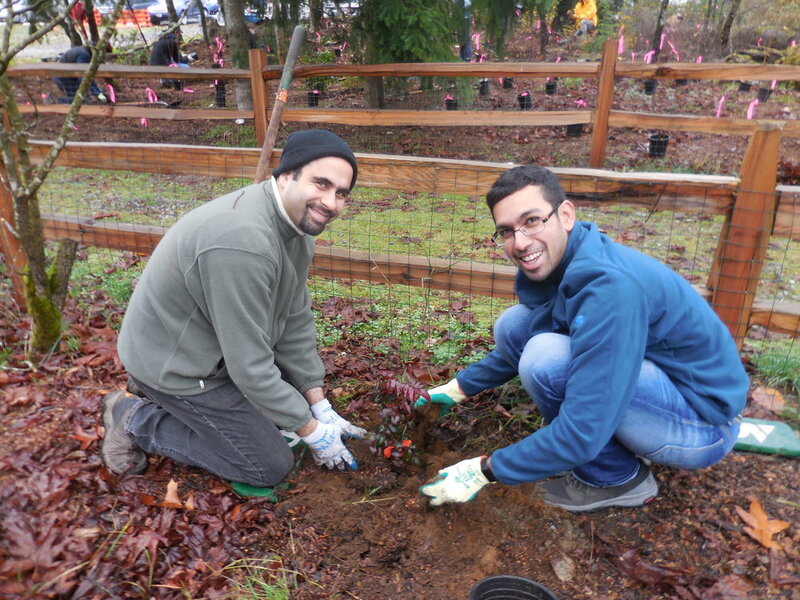 A lot of great work is happening at Marymoor Park thanks to many of Eastside Audubon’s dedicated volunteers. Starting this year, I’d like to share a little update each month. For the last ten years or so, Eastside Audubon has taken on environmental stewardship for several natural areas in the park. Past projects include planting native plants, mulching, establishing a birding trail, and invasive species removal. December was a great finish to the year. 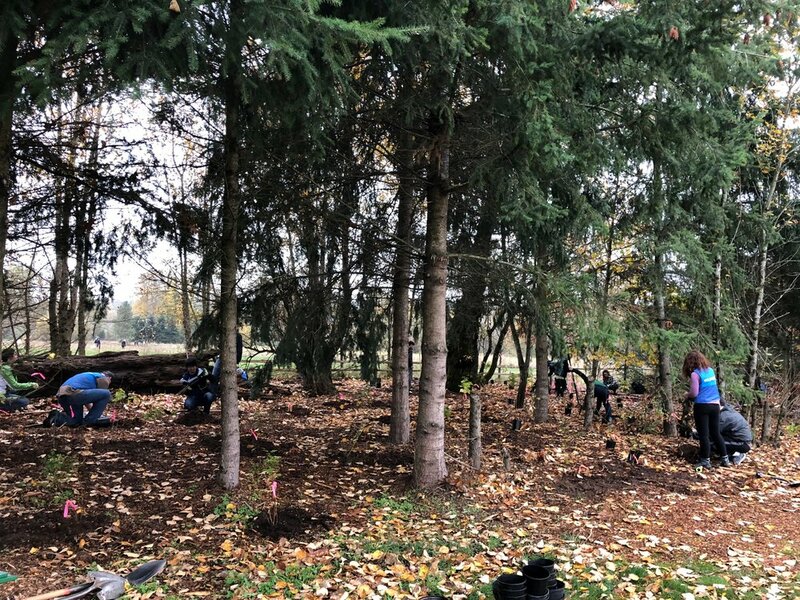 We planted 620 native plants, concluding our 2018 planting project, spread around five cubic yards of mulch, and yes, even pulled some blackberries. (And the only reason I can say that last bit is because a volunteer took the initiative to remove at least ten huge blackberry root masses while planting. It was awesome.) 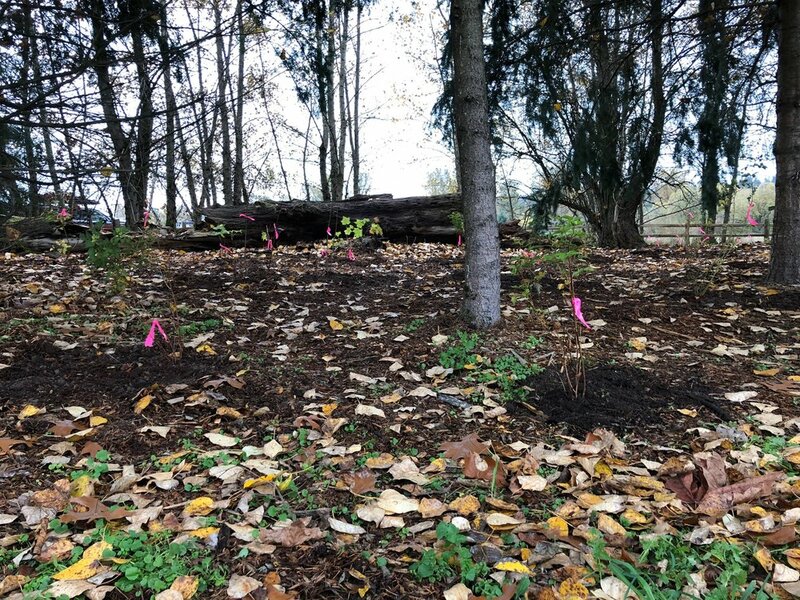 Plants were installed in three areas: the space between Lot G and the grass play fields, along the Heron Loop Trail that borders the dog park fence, and at the trail junction of the Sparrow and Heron Loop Trails. Even with the threat of rain, we had 39 volunteers come out for December’s work party for a total of 123.5 hours. 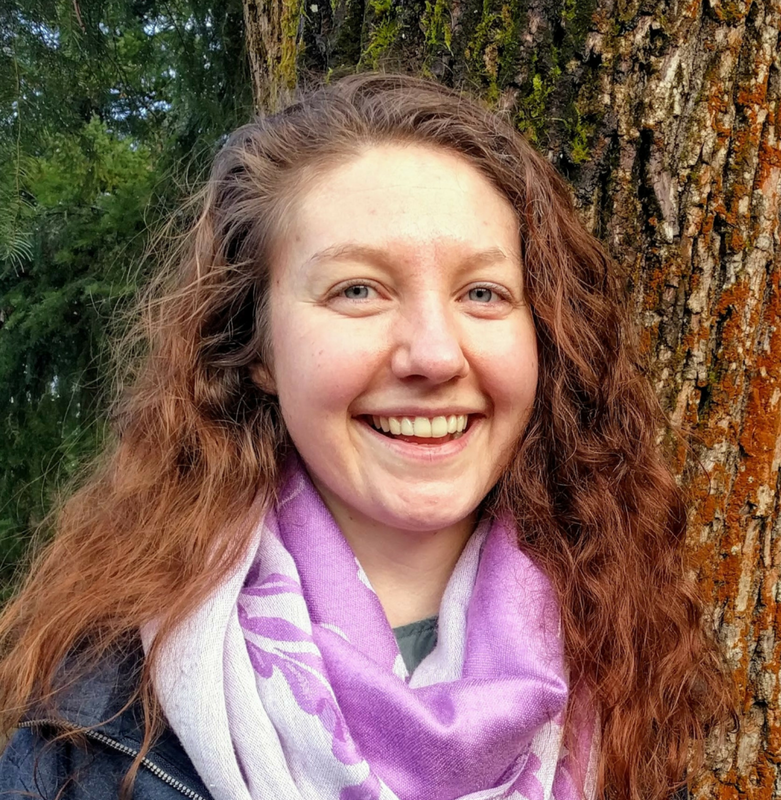 In my experience, plantings often have a higher turnout than other events but I would like to recognize Sheila Ritchie, our executive director, for publicizing it on volunteermatch.org, a network that connects volunteers with service organizations. Ever since that happened in September, there’s been an increase in volunteer numbers. We didn’t have enough tools for these bigger groups, so I’d also like to thank King County Parks for loaning us a bucket load (literally) of shovels. Plants were obtained from Storm Lake Growers, a local nursery that specializes in plants indigenous to the Puget Sound. They included Nootka rose, thimbleberry, salmonberry, Oregon grape, red elderberry, red flowering currant, Indian plum and red alder. All of these species provide food and habitat for birds and other wildlife. Each plant was tagged so that we can track survivability. Of all the species, the red alders were the hardest to plant. They were big – two-gallon size – and were placed in an area thick with reed canarygrass. To give the trees a better chance against the grass, we expanded the planting hole width from twice as wide as the plant pot to approximately five times as wide. While planting, we were most surprised to see the J-roots. A J-root forms when the roots get too crowded in the pot and start to grow up and in circles. A J-root will end up choking a plant if left unclipped. 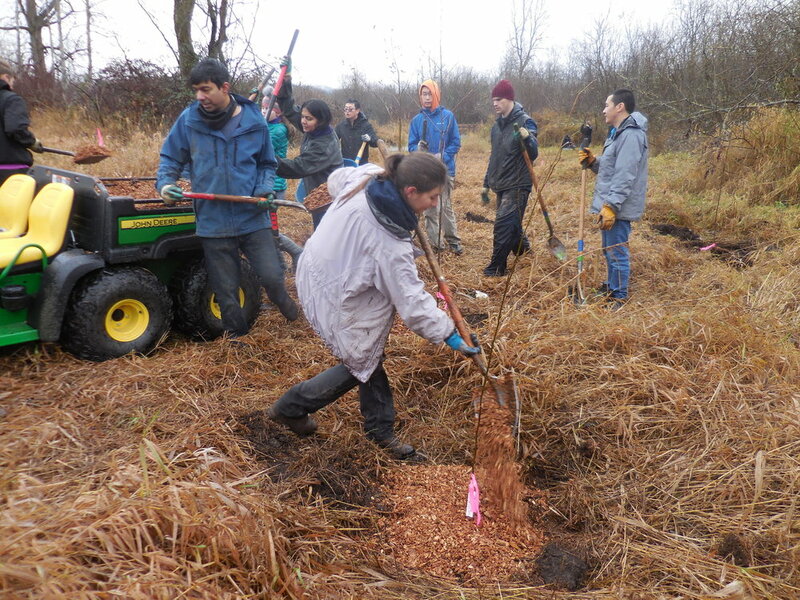 After planting, there was time to mulch all of the red alders and many of the other plants. Mulching helps retain moisture in the soil, especially in the summer, which increases survivability. For the next few months mulching will be our primary goal. We have outlined some ambitious goals for Marymoor Park in 2019. As always, we rely on the amazing support of our members and individuals in the community to restore natural spaces essential to our birds. We encourage you to join us. We meet the first Saturday of the month from 9 a.m. to 12 p.m. at Lot G. You can let us know you’re coming by signing up through VolunteerMatch here. Hope to see you there!